Our Adult Religious Education (RE) classes meet Sundays, 10-10:50am. As a learning community, we address cutting-edge topics. Through group learning and discussion we are empowered to engage in critical thinking and analyses that enhance learning for all participants. Studying and engaging in constructive dialogue together, we encourage and foster growth as individuals and compassionate members of the greater community. The Adult RE Book Club meets weekly to share thoughts and ideas in response to selected books from a variety of authors, typically discussing one chapter each week. 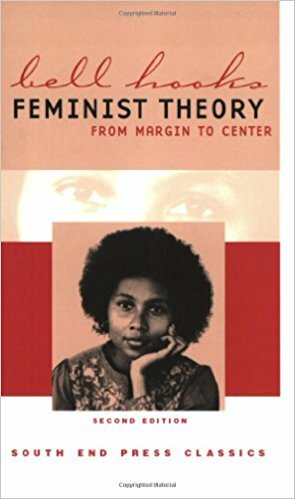 We are currently reading Feminist Theory: From Margin to Center, by bell hooks. Some previous titles have included: Being Mortal by Atul Gawande, Microaggressions in Ministry by Cody J Sanders & Angela Yarber, The New Jim Crow by Michelle Alexander, Lamb: The Gospel According to Biff by Christopher Moore, This Changes Everything by Naomi Klein, and Zealot by Reza Aslan. You are always welcome to join us Sundays from 10-10:50am, even if you haven't read the book! The Adult RE Humanities discussion group watches a weekly TED talk segment on a particular subject area such as art movements or the future of technology. The humanities help us to understand and define great ideas, culture, and the human experience through art, comparative religion, literature, history, ethics, philosophy (including political philosophy), science, technology, psychology, archaeology, and more. As a group we decide on a series of specific TED talks in one area such as the history and philosophy of online/cyber culture, or the nature of human consciousness. Differing ideas are welcome and encouraged as we engage in our robust and civil discussions. Please join us for our ongoing Adult RE Humanities group discussions Sundays from 10-10:50am at the WWUUC. "How we as a community can work together to combat Climate Change" presented by Turtle Rock Farm & The Peace House. "Knowing and Caring: LGBTQ Awareness" presented by Dr. Kami Day from the Women's and Gender Studies program at the University of Oklahoma. Guest speaker Roberta Mendoza talks about his experience at the Dakota Access Pipeline protest.